Have your walking shoes reached their limit? We generally recommend to replace your athletic shoes every 500 to 800 km. Even if you are walking instead of running, the shoe will not likely provide good support or cushioning beyond 800 km. Do the math: if you walk / run 5 km 4 times per week that’s 80 km per month. That means you will reach 500 km in 6 months and 800 km in 10 months. 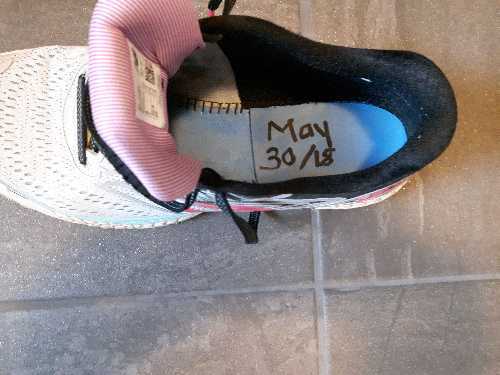 Easy to track with today’s technology - or go old school and write the date of your first run under the insole of your shoe so you don’t forget.